There will always be someone to pal with, oddly our group tends to be similar from trip to trip. We are women who love to travel and will not wait for friends. We are sometimes celebrating retirement from work or from other ‘lifetime’ stuff. Someone will always have a serious shopping list. Someone else will be buying little food gifts in the wonderful supermarkets overseas. Someone will know wines; someone will be tasting for the first time. Someone will have done all the homework; others are happy to benefit from it. Most will have come solo, a few with a friend or two. 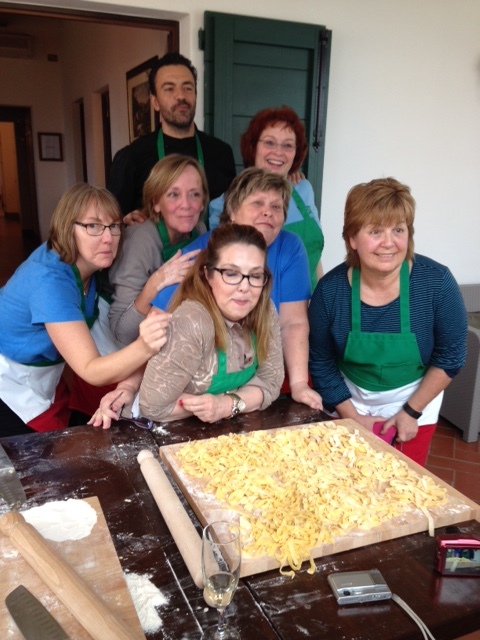 Next year’s Tuscany Cooking and Seeing trip will be in April- either second or third week. As it is always full, we are taking a list now.